The 78th General Convention of The Episcopal Church is June 25 – July 3, in Salt Lake City, in the Episcopal Diocese of Utah. The Episcopal Church’s General Convention is the bicameral governing body of our church. It comprises the House of Bishops, with upwards of 200 active and retired bishops, and the House of Deputies, with more than 800 clergy and lay deputies elected from the 108 dioceses and three regional areas of the church. The Episcopal Church Women will hold their triennial meeting concurrent with General Convention. You’re invited, too, to come along – at least virtually. You can start by visiting our diocesan General Convention blog and subscribing to email updates; that’s where members of our deputation will share information. We will have links to other websites there, and social media will provide the opportunity to encounter a wealth of information, most searchable on your favorite social sites and apps with the hashtag #gc78 (for General Convention) and #diofw (for the Diocese of Fort Worth). You’ll find links to the General Convention website and to our deputation blog on the front page of our diocesan website. 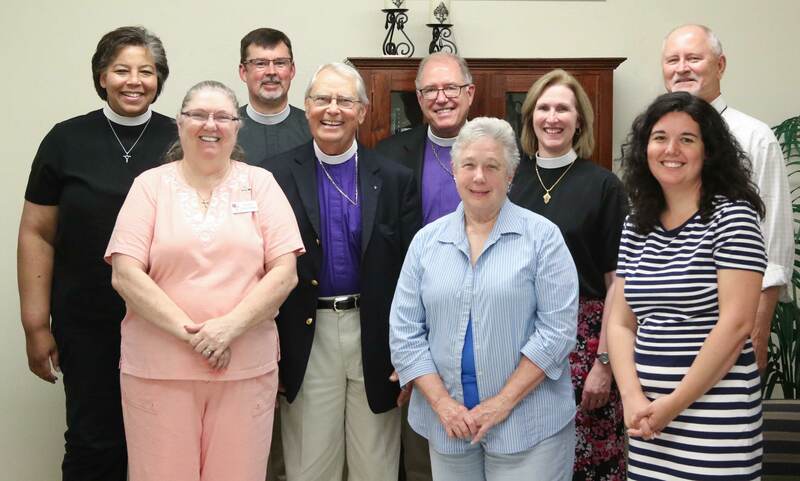 Please pray for Bishop High, Bishop Mayer and the Fort Worth deputation as they attend General Convention and the ECW triennial meeting. Convention us all the opportunity to pray; you can add your prayers in words and images to the Prayers of the People at http://prayersofthepeople.org/ and offer public prayers in your social media communities using the hashtag #prayersof and a daily prayer theme hashtag.